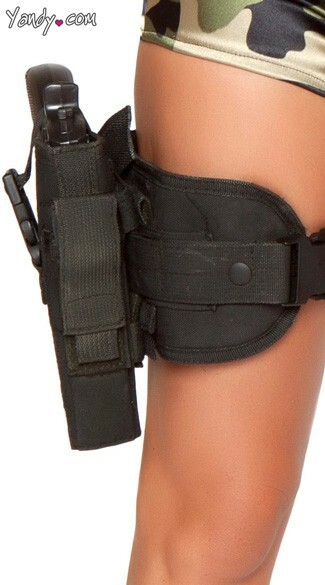 The Gun Leg Holster is fully adjustable and is worn around your upper thigh. Its perfect for any military or Law Enforcement costume. (Gun not included).